narwhal, walrus, polar bears, arctic terns… just a few of the species dependent on ice. the list is likely much, much longer. it’s these innocents i feel sorry for too. they face extinction. I don’t want to live in a world without these magnificent creatures. But humankind is at risk as well. Thanks for this, CH1. I find that a lot of the stuff that came out during the late 90s through mid 2000s is pretty pertinent as well. The mid 2000s especially were a wake up call from the sciences. There was a bit of a reticent backlash in the early 2010s. That seems to be fading somewhat at the moment. I remember Teddy Goldsmith of the Ecologist on the radio in the 1980s, when he visited this benighted land. He stated, straight out, the commonsense that another forty years of ecological destruction similar to that seen in the last (since WW2) would destroy the planet’s habitability for our and most higher species. There was a little public concern expressed in those days, oin the MSM, before the enialist industry got going, but today, after forty years of Rightwing dominance and Murdochite brainwashing, any such talk, or even an admission that Goldsmith was correct, would be suppressed and/or met by a tsunami of denial and abuse. Needless to say the Arctic situation remains utterly unreported in the local MSM. Instead, today, we get a baloney of economists declaring that we MUST radically increase our immigration and population. In contrast to these deranged cargo cultists with their ludicrous pseudo-science, ecologists have declared the carrying capacity of the country to be twenty million (we are 24 million today)at a maximum. We can guess who the political drones will listen to. And the gigantic Yallourn brown coal burning power station in Victoria is to be closed. All the commentary was of how this will increase power prices, how the power will be replaced by black coal power from other states, and the loss of jobs. Climate change got a tiny mention, as a fact of no real importance. The ABC decided to broadcast one worker bemoaning that ‘The greens have won’. If Trump loses he should consider a political career he, although he might be thought a bit of a ‘Lefty’. You’re welcome. Shows the power of a well-crafted phrase–the image of us and our “wrecking ball” is constantly recurring to me since I read that sentence. BBC finally stepping up to the plate and providing some good coverage of this crucial story – just watched second episode and it was pretty good. Kudos to BBC. Hopefully this will continue. Proud member of the ASIF here. I have read a lot lately of how through the use of Argo, it has been discovered that the oceans overall, not just in the Arctic, are heating deeper and have accumulated more heat than previously thought. The MOC is transferring much of this heat to both polar regions. 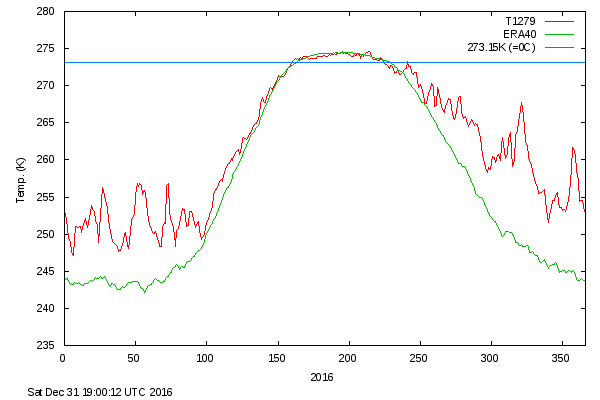 The Arctic took a hard hit through insolation this year as well, and seems to be really teetering from the near knockout 2016 summer. I cannot see, given the accelerated as opposed to linear rates of change in all areas of AGW how Arctic summer ice survives the next El Nino. Back down under from the Australian Financial Review. A respected economic publication. You’ll notice the article was actually written by Martin Wolf of the Financial Times in the UK. It’s just a reprint. Anyone with emisisons > about 3t per annum are the cause of this problem and they are legion. We need to give people more tools for cutting emissions. Individual action helps, but group action is the force multiplier for reducing our impact. My wife is chair of the town energy committee, which is carrying on a steady stream of group action programs aimed at solar and efficiency. More info here: http://norwichenergycommittee.weebly.com/ Maybe it will provide info for others. Suggestions as to how it might be improved would be welcome. There are really no metrics by which this last 6 weeks in the arctic haven’t been absolutely stunning. It’s mind blowing to think of it, but I really wonder how far we are from an equable climate. It feels like it could really be soon, within a few years after we start having blue sea summers. The fall of 2012 wasn’t nearly so warm (no years were anywhere close to what we’re seeing now) so I’m not terribly hopeful the ice will rebound much in 2017. Obviously I’m guessing though. The process of loss of ice, ice destabilization at the poles is well underway. That a formula for some pretty hard wrenching of the global climate system overall once the land ice sheets really start going down. Per Hansen, energy imbalance increases as that starts to happen due to the fresh water lens effect. Oh bugger, I just realized that an equable climate means *all* the permafrost thaws. I’d guess we’d have to be closer to 3 or 4C of warming before we hit an equable climate, but it’s really sounding like the worst case scenarios are becoming more plausible. As well, I’m also remembering that systems like the climate system don’t change state in a linear fashion, they tip abruptly. Time to get yer relatives away from the coasts. Trying… I’m going to bring a presentation for them this Thanksgiving. Things just got even worse. A new study suggests that we’ve underestimated the amount of sea level rise that occurred in the Northern Hemisphere during the 20th century, finding that historical records have miscalculated the increase by as much as 5 to 28 percent in certain areas. By applying the original sea level measurements to a new climate model, researchers found that sea level estimates were based on certain areas that were not indicative of the increases on the globe as a whole, and we’re only now seeing the real picture. The researchers, from NASA’s Jet Propulsion Laboratory and the University of Hawai’i at Manoa, say that it’s now “highly unlikely” that the global average sea level rose less than 14 centimetres (5.5 inches) during the 20th century, and the most likely amount was closer to 17 cm (6.7 inches). Thanks for the kind words. And I respectfully disagree with your other comment. It’s exactly this kind of cynicism that gets us into trouble. But that discussion is for another time and another forum. I don’t entertain wedge issues here. This doesn’t mean that I don’t respect opposing views. Just that I have a mission to accomplish. Not to turn this into an academic discussion, a pursuit of an unattainable perfect ideal, to wallow in despair or doomerism, or to pander the a sickening intellectual form of cynicism. Grrr. That was supposed to be the current graph for the daily mean north of 80. The zombie-like stagger just became a jump. Wow. Just wow. That is truly amazing. (2016 is the last one on the second row.) It really stands out, especially on the Pacific side, just how much more open water there is up there now than in any other year. Who knew this (non) freeze season would be so horrifyingly exciting?! Almost as bad as the tightening presidential race! Nope. People will just have to click on the link to see the amazing spike in temperatures, up from the already wildly anomalously warmer temps up there…and in November!! I’ve tried it too. For some reason the current image doesn’t post. Will see if I can fix. Yes, Kate. Appears to be ~+11C for 80 North to 90 North. Is this it. Later date, but still. I’m still wondering what kind of effect increased water vapor is having in the region. In the Pleistocene, iirc, there were pretty balmy temperatures up there all the way through the long winter of no sun. My understanding that this was possible mostly because of the the strong greenhouse effect of water vapor holding in heat right through the winter. It looks to me as if we are already seeing movement into that condition, with temperatures remaining far above historical norms well past the time when essentially no solar energy was directly entering the region. I know that there are other dynamics in play–changing currents, front bringing warm air in from further south…but surely the increase in water vapor from having so much open water for so long is playing a considerable roll in these anomalously warm temps we’re seeing up there this time of year, right? Ooops, I meant Pliocene, not Pleistocene. Interest in and knowledge of these millions-of-years-ago eras is no longer just of academic interest. They are now the best windows into the future that we are facing. And we are not likely to stay very long in Pliocene conditions. Before the end of the century we are hurtling into conditions not seen on earth since much deeper in the paleo-geological record. Serendipity, expertise, foresight and the equivalent of an Earth observation data archaeological dig have led to recovery of almost-40-year-old satellite imagery — thought lost forever — which will significantly add to understanding of our planet’s climate. The data, from the European Space Agency’s prototype Meteosat-1 geostationary meteorological satellite, was found at the University of Wisconsin-Madison’s Space Science and Engineering Center (SSEC) in the United States. It has now been provided to EUMETSAT, which operates and disseminates data from Meteosat-1’s “descendents” and, crucially, has an uninterrupted record of climate data from these satellites stretching back more than 30 years. That record, although with a small gap, now extends even further back in time. To say that the discovery of this lost data was greeted with enthusiasm would be an understatement, with climate scientists describing it as “like finding a lost child” — “the first born”! “One measure, contained in data from the United States Geological Survey, shows the stark difference in the use of pesticides. Since genetically modified crops were introduced in the United States two decades ago for crops like corn, cotton and soybeans, the use of toxins that kill insects and fungi has fallen by a third, but the spraying of herbicides, which are used in much higher volumes, has risen by 21 percent. Everything Monsatan et al and their armies of trolls said about GE crops was a lie, lies in the service of profit maximisation and control of the planet’s food supply, a key US Imperial priority for decades. To the disaster of GE, we can add the insanity of neonicotinoids, systemic, unselective, insecticides that make every part of a plant toxic to insects (and who knows-perhaps we will find one day that they are toxic to higher animals, too)and which are devastating insect populations, undermining food-chains and threatening pollination. They are toxic to us, too. The metabolism of all cells is basically the same. On the DAPL front, recently there has been a marked uptick in donations to the Sacred Stone camp by about half a mil. Now @ $1,390,430. Meanwhile, way down south: this is an online exhibit of photos in the Royal Collection from the heyday of Antarctic exploration a century ago. The live exhibition was mounted in 2012 to commemorate the 100th anniversary of Scott’s fatal expedition. There was a heck of a lot more ice back then. That’s becoming pretty apparent, even now. scott, shackleton and (australian) mawson’s books on their explorations are all fantastic reads… hurleys pics are amazing, especially when you consider the lengths that were gone to to keep the glass plates even in the face of death!… they didnt dump them in the sea; they saved them, knowing what they meant. another stunningly scary report, but thank you, Robert. In Phoenix at the end of the first week in November, we are still in the mid to high 80s. I did not feel my chilly mornings yet this year and they usually happen by Nov 1. I wake up chilly enough to put a real blanket on the bed. It is a rather grim feeling. I think we are going to lose our winter for good in the next 2-3 years. We should have at least Nov-mid March with temps in 60- and 70s. Thanks for the kind words and for the continued reports from your home. It’s so important that we each make our testimony, on our own way, to what is happening. If we are not aware then we cannot act. If we hear what each one of us is experiencing, then we become less able to turn away in callous disregard. I appreciate your voice. Okay, so this caused a massive screen-spray chez Cate. The CEO of Kinder Morgan is one of the corporatocrats who dictate energy policy to the govt of Canada. So Trudeau’s forked-tongued talk on climate change comes as no surprise, when you realise this is the vested interest he is serving. “The president of the company that hopes to build the $6.8-billion Trans Mountain pipeline expansion said today that he doesn’t know whether humans are contributing to climate change. Kinder Morgan Canada president Ian Anderson told the Vancouver Board of Trade on Thursday that there is disagreement about the degree to which people influence global warming. “I’ve read the science on both sides and I don’t pretend to be smart enough to know which is right,” he said…..
.Andrew Weaver, a climate scientist who was a lead author in several of the panel’s scientific assessments, said the problem with Anderson’s earlier statement at the Board of Trade is that there isn’t science on both sides. There is ideology on one side and science on the other, said Weaver. Useful way of thinking about our personal contribution to the artic melt.